HARVEST SALAD RECIPE with Fresh Nutrition & Wellness! There’s nothing quite like eating with the season, and enjoying the fresh bounty of seasonal produce fall in New England has to offer. Amiright?? 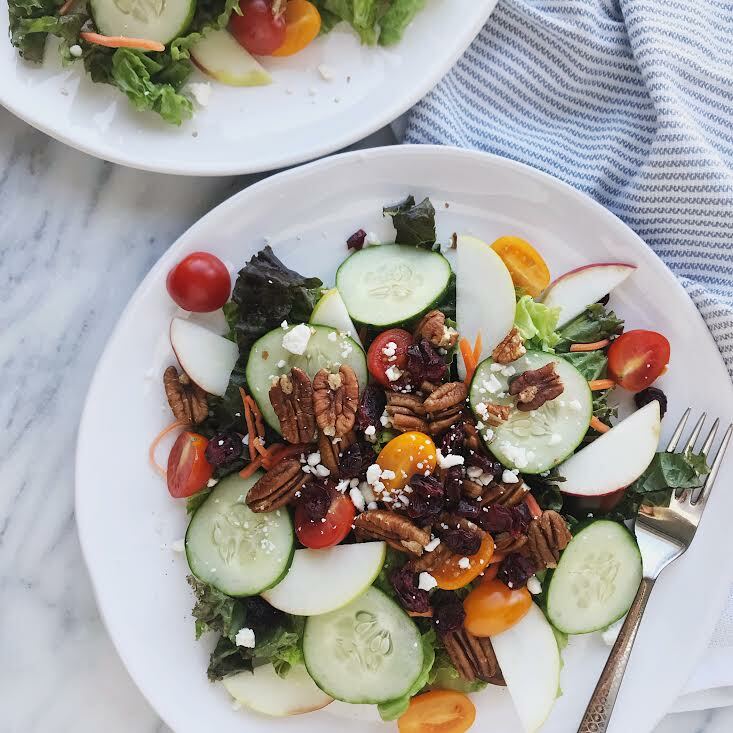 This week, Dr. Jessica Monroe of Fresh Nutrition and Wellness shares a quick, easy, and tasty fall salad with us! Combine shallots, vinegar, mustard, and honey. Add olive oil to the dressing slowly and mix well. Finish with salt and pepper and mix vigorously. Mix ingredients together or layer on a plate. Drizzle dressing on your salad and enjoy!